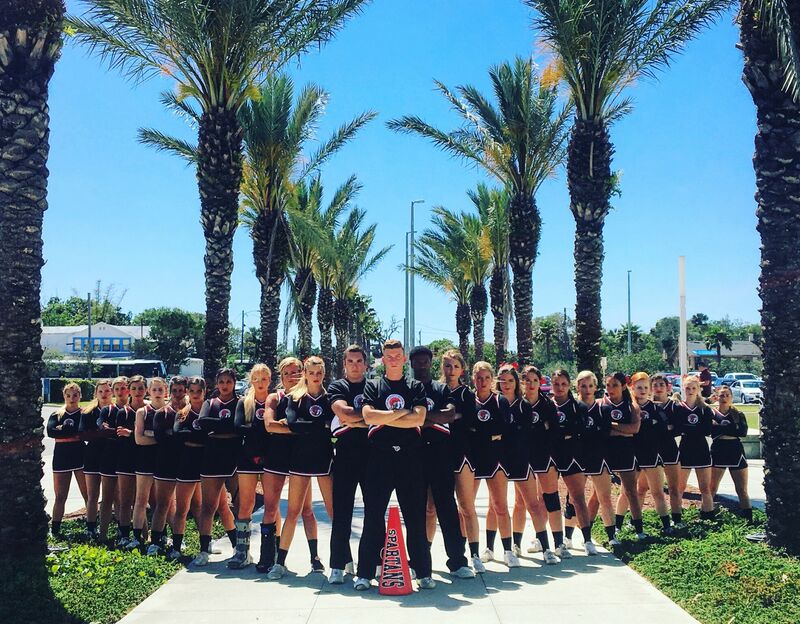 UT’s cheerleading team finished eighth at the National Cheerleading Association championship (NCA) on April 8 at Daytona Beach Bandshell, being the last time for senior side base Alyssa Rodriguez to compete at the collegiate level. Rodriguez came to the University of Tampa attracted by the accounting program offered in the school along with the desire of staying close to her hometown. With her family by her side and being her number one fans, Rodriguez started to find love in something that before was completely unknown to her. After her first year at UT, the Spartans cheerleading program changed the coaching staff to the one commanding today, with head coach Mannie Rotella in charge. Along with this new head coach, most of the athletes left, being Rodriguez one of the only ones that stayed as part of UT’s team. Along with them, Rodriguez helped to build UT’s cheerleading program for the last four years as the team has been only eligible for this last two. Not only that was her motivation through her five years as student at UT, Rodriguez also wanted to help a program who would be able to compete at nationals. While cheerleading may not get as much attention as other sports, UT’s team practices just as hard as other varsity teams to compete at their highest level. The team lifts weights two times a week and practices three times a week. Likewise, in the spring semester they meet with the stunt groups outside practice almost every day leading up to nationals to perfect their acrobatics. With her willingness to come back as soon as she could, and her passion about cheerleading as her motivation, Rodriguez recovered by January and she was able to compete this year. Not only she is an example of relentlessness, Rodriguez is also an example of a great leader and a great friend, according to her teammates. Now, Rodriguez could compete for her last time with the Spartans, leading the team to finish up eighth at the national level.